Be the envy of your street with a set of stunning bi-fold doors. As well as giving you more space, they act as a focal point for your home. Every garden party will see them play a starring role as guests admire them and use your living space more. With slim sleek frames, the unobstructed outside views you can get are second to none. They are the perfect choice if you’re lucky enough to have beautiful surrounds. Bi-fold doors are a unique sliding door that will transform your space. With a concertina style fold, the door panels neatly stack up on one side to completely open up your home. With up to eight door panels available, you can create a fully glazed wall if you wish. By completely opening up your space, you can create an open-plan feel between your home and garden. 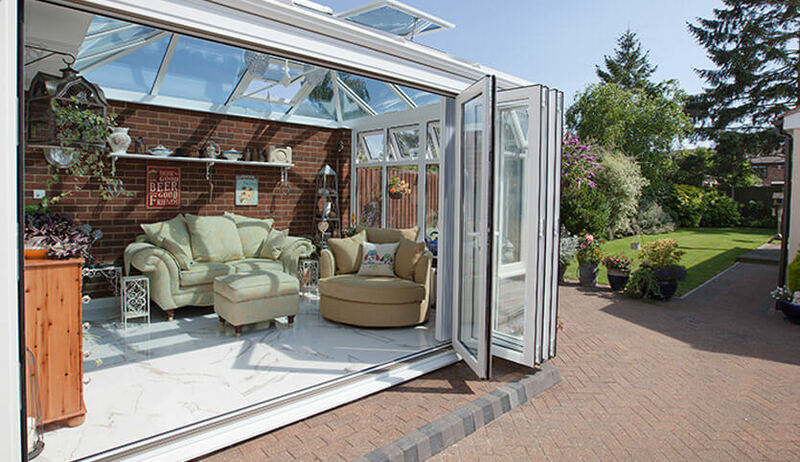 Garden parties are where bi-fold doors come into their own. 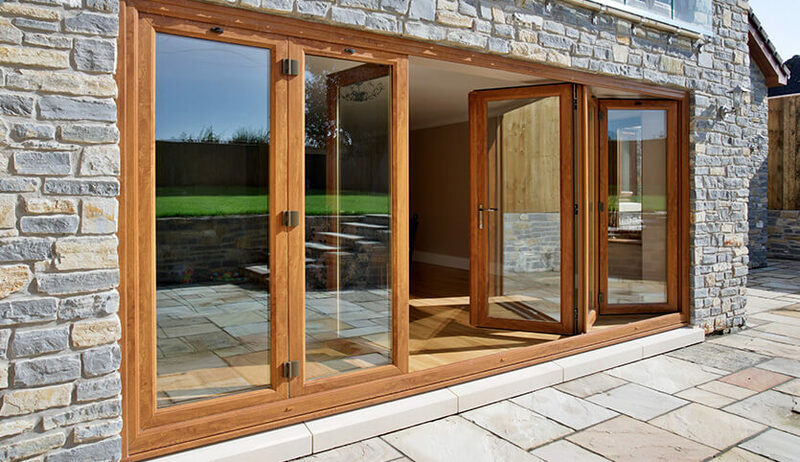 These doors are perfect for the summer months but you don’t have to worry about bi-fold doors letting you down during winter. Like all our doors, they still possess all the energy efficient qualities that keep your home warm and bills low. Whether you choose uPVC, timber or aluminium, our door frames combined with our high-quality glazing provides superior insulation. Security is taken care of too with multi-point locking and secure frames that will keep your home safe. Personalising your bi-fold doors is easy. You can even choose a dual colour to let the interior of the door blend in with the rest of your home. Different threshold options are available to give improved weatherproofing or to allow easier access. We offer our doors in efficient uPVC, authentic timber and ultramodern aluminium materials to allow you to make the choice that’s right for your home. The strong and ultramodern choice that creates a door to impress. Bring a heritage feel to your home with a timber door.